For those who were fans of the old TV show Welcome Back, Kotter, you will remember the character Arnold Horshack. Whenever he'd raise his hand to answer a question, he'd yell, "Oooh, oooh, ooh". So it is with a story from Legal Insurrection regarding the 2018 House races. It featured three races with Republican incumbents that are expected to be very close. The Republicans mentioned in the story are Rep. Peter Roskam (R-IL), Rep. Mia Love (R-UT), and Rep. Carlos Curbelo (R-FL). While I can't speak to Mia Love's race for re-election, I do have an answer - or at least a partial answer - as to why Roskam and Curbelo might be on the bubble. They both voted against concealed carry reciprocity. Moreover, Curbelo is the sponsor of HR 3999 which would make it illegal "to manufacture, possess, or transfer any part or combination of parts that is designed and functions to increase the rate of fire of a semiautomatic rifle but does not convert the semiautomatic rifle into a machinegun." The way the bill reads this would mean not just bumpstocks and binary triggers but stuff like Geissele or Timney triggers. Perhaps Roskam and Curbelo think playing to the gun control crowd will win them a few more Democrat or moderate Republican votes. I'd say it will also cause them to lose a lot more gun owners who might have provided them with the margin of victory. I know my friend and Polite Society Podcast co-host Gary Daugherty who lives in Roskam's district is quite angry over Roskam's vote against HR 38. Given Gary helps organize town halls for ISRA in his area of Illinois, this does not bode well for Roskam. I had never heard of the concept of free recoil until I saw this video put up by Tom Gresham's Gun Talk Media. The gist of it is that you have the rifle steadied on a rest and you pull the trigger without the buttstock being locked into your shoulder. Indeed, it isn't even touching your shoulder. I'll have to try this the next time I go to the range. The Independent, a UK-based online newspaper owned by Russian oligarch Alexander Lebedev, published an interesting story today about a hard-Left group calling themselves Redneck Rebellion. Their mission is the downfall of capitalism through opposition to racism. They seek to mobilize poor whites to stand up for black, Hispanics, and other minorities. They also believe in armed defense. They don't see themselves as an armed wing of Antifa. According to the story, they seek to do everything within the law and are not anarchists. Rather they see themselves as more of a white Deacons for Defense or Young Patriots Organization which was a 60s and 70s group of whites aligned with the Black Panthers. There was one quote in the story that I found rather amusing. It was attributed to "Mike" who said that Russian-made firearms were the "most accurate and reliable". I suppose in his lexicon this means "minute of capitalist". The video and pictures that accompanied the story showed the group shooting Mosins, SKSs, and New York-compliant AKs. I just hope they remembered that the New York SAFE Act restricts them to only seven rounds in the magazine. Frankly, I'm not sure what to make of these wannabe Bolsheviks. While I don't disagree with them that racism is bad, isn't it a bit bourgeois of them to think they have to be the ones providing armed protection for minorities? To me, this reeks of noblesse oblige and paternalism. Far better that minorities learn to protect themselves. Moreover, the absence of racism is NOT going to bring down capitalism. It may work well in their reading of Marxist theory but in reality it is naive. In my opinion, free and open markets do more to raise the standards of living across the board than anything that groups like this can do. I just hope that groups like Redneck Rebellion are not, as Matt Bracken says, a "countdown to CW2." I want to wish one and all a very Merry Christmas. I hope it has been everything you've been anticipating and more. The picture above features a wooden Christmas tree we received as a gift from my very handy son-in-law Jeremy. He made this tree from discarded wooden pallets. It is a great example of upcycling. As part of a story about gun sales in the United States during the holiday season, the BBC included the following kids in North Carolina. These kids tell why they enjoy shooting guns. In this case, the video appears to have been taken at a Scholastic Clays shooting event. Surprising perhaps, given the anti-gun sentiment in the UK, but the BBC seems to do a better job covering the American gun culture than the American mainstream media. If Uncle Saw rewarded you for doing good would you consider doing it? Well, actually the government does reward you for doing good. It gives you a tax deduction for donations made to 501(c)(3) non-profits. Even if you don't itemize your deductions many states will give you a tax credit for donations to non-profits over and above the standard deduction. 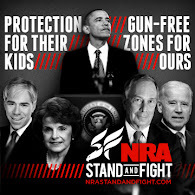 So in this spirit, I thought I'd point out some organizations that support guns rights, promote (real) firearms safety, defend those who run afoul of arcane or absurd gun laws, and who encourage the shooting sports for the next generation. I have checked and all of these organizations are 501(c)(3) organizations. This is critical as donations to 501(c)(4) organizations are not tax deductible. The deadline for donations to be deductible is midnight on December 31st. Supporting civil rights lawsuits, filing amicus briefs, and serving as organizational plaintiffs is critical in securing our Second Amendment rights. This is where the Second Amendment Foundation shines. They usually have a large number of lawsuits going in Federal and state courts all the time and are definitely deserving of your money. Other organizations active in this category would include the Calguns Foundation, the Firearms Policy Foundation, and, to a lesser extent, the Mountain States Legal Foundation. Calguns has been very active in challenging restrictions in California and are often joined in this effort by the Firearms Policy Foundation. MSLF supported the lawsuits challenging the ban on firearms in post office parking lots and a case in Illinois regarding FOID cards for out-of-state residents. The Gun Owners Foundation, a sister organization to GOA, does help support some amicus briefs in important Federal gun rights cases. Generating good policy research is important to Second Amendment litigation and advocacy in the legislative arena. This is where Prof. John Lott and his Crime Prevention Research Center plays a role. Unlike those in academia who get fat grants from Michael Bloomberg, the Joyce Foundation, and the California Department of Justice, Prof. Lott is dependent on grass roots donations. He runs a lean organization and could use your help. Supporting those who have had their civil rights abridged like Shaneen Allen is the NRA Civil Rights Defense Fund. They have cases going in 20 states ranging from Alaska to North Carolina. In NC, they are fighting an improper zoning law decision in Caldwell County that would shut down a shooting range even though ranges are a permitted use. The NRA Civil Rights Defense Fund also is supporting a number of cases in California in conjunction with the state's NRA affiliate California Rifle and Pistol Association. Supporting similar legal defense work but on a individual state basis are both the Calguns Foundation (see above) in California and the ISRA Legal Assistance Committee in Illinois. If we want to protect our children in a meaningful sense, it requires safety training for children, community outreach, and defense training for teachers and other school personnel. The NRA Foundation provides grants for education, training, and safety. Likewise, Project Childsafe, which is sponsored by the National Shooting Sports Foundation, provides both safety education and devices for securing firearms. They have provided over 37 million gun locks over the years. Faculty/Administrator Safety Training and Emergency Response or FASTER Saves Lives started with the Buckeye Firearms Association and the Buckeye Firearms Foundation. The program provides rigorous violence response training free of charge to school personnel as well as trauma kits to schools. A true grass roots effort that is deserving of our money is Operation Blazing Sword. Founded in the wake of the Pulse nightclub attack by my friend Erin Palette, it seeks to make firearm safety and familiarization training available to those in the LGBTQ community. It originated with Erin putting together a Google Maps page with links to those who had offered this training for free around the country. It has now become an official non-profit with a 501(c)(3) determination letter from the IRS. Getting the next generation active in shooting sports is the mission of the Scholastic Shooting Sports Foundation. It both a clays and an action pistol program. The programs reach out to youth from elementary grades through college. The Safari Club International Foundation supports wildlife conservation around the world, education programs including college scholarships, and humanitarian aid to veterans, food pantries, and many Third World Countries. Also providing aid to veterans is HAVA or Honored American Veterans Afield. This program helps wounded and disabled veterans to transition back to their lives in the US through outdoor and shooting activities. There are many more state and local 501(c)(3) non-profits out there. These may range from a local 4-H program to a hunter's foot pantry program. Look around your community for these opportunities to do good. If I have missed an organization that you think is deserving of attention for the good work they do and that are tax-deductible non-profits, let me know in the comments. NOTE: The links above go directly to the donation pages of the organizations mentioned. UPDATE: Colorado also has a teacher violence response training program which was modeled on that of Ohio. FASTER Colorado was started by my friend Laura Carno to bring that training to her state. You can make a tax-deductible donation on the link above. Look at the bottom of the teacher registration page where it says "donate". My friend and author Yehuda Remer posted this to Instagram. The Jewish festival of lights began at sunset on this past Tuesday. Hannukkah or Chanukah, depending on how you want to spell it, celebrates the victory of the Maccabees over a Syrian-Greek army and the rededication of the Holy Temple. When they went to relight the menorah in the Temple, they only found enough pure oil to light it for one night. However, this vile vial of oil lasted for eight days which is why Hannukkah goes for eight days. As I mentioned, Yehuda is an author. His first book was Safety On! An Introduction to the World of Firearms for Children which brings firearm safety to kids in a way they can understand. He followed that up with his Safety On! coloring book. Finally, just released in mid-November was his book 10 Little Liberals - A Tale of Hope. That book follows 10 little liberal snowflakes as they are exposed to conservative triggers. I received my copy this past Sunday and it is a hoot. For those that don't know Yehuda, he grew up in anti-gun California and only knew guns from TV and the movies. The only people in his world that had firearms were the police. This changed when he moved to the Dallas area because as an Orthodox Jew he didn't want to raise his children in ultra-liberal California. He learned that many good people other than cops have firearms for self-protection and he became one of them which is why eventually led to his book Safety On! Ian Argent, in a guest post at Shall Not Be Questioned, has run the numbers on HR 38 to see the chances it will pass in the Senate. He compared how the Senate voted on a proposal for carry reciprocity put forth by Sen. John Cornyn (R-TX) in 2013 and how he expects them to vote now. Unfortunately, I think Ian is correct. So long as the Senate has the filibuster on everything but judicial nominees, then 60 votes are going to be required. I was looking at the vote in the House on HR 822 back in 2011. It was interesting to compare that with the vote on HR 38. HR 38 passed the House last week by a vote of 231-198. The ayes included 6 Democrats and 225 Republicans while the nays included 184 Democrats and 14 Republican. By contrast, the vote back in 2011 was 272-154 in favor of passage. The big difference can be attributed to 43 Democrats voting in favor of concealed carry reciprocity. Of those 43 Democrats who voted in favor of concealed carry reciprocity in 2011, many are no longer in the House. A couple such as Martin Heinrich (D-NM) and Joe Donnelly (D-IN) have moved on to the Senate. In fact, they were two of the Democrats who voted in favor of Cornyn's bill in 2013. What is disturbing, however, are the 13 Democrats who voted in favor of reciprocity in 2011 who voted no on it in 2017 even though the bill contained the Fix NICS Act. What made them switch their vote on reciprocity for an aye to a nay? Did the Democrats crack the whip on those members or was it that they were warned that they would have a primary opponent funded by Mike Bloomberg? If any of the these 13 are your representative in Congress, I'd be asking why. David Codrea along with the late Mike Vanderboegh were the two independent journalists who helped bring Operation Fast and Furious to the light of day. I doubt there is anyone around today who has a better knowledge of it than David. Thus, it was with great interest that I saw a post by David at Ammoland.com asking about former FBI Director Robert Mueller's role in the affair. He (Mueller) was asked to stay on beyond his 10-year term by Barack Obama, curiously just as things were starting to heat up on the Operation Fast and Furious investigations by the Senate Judiciary Committee and the House Committee on Oversight and Government Reform. “Gunwalking” and the Brian Terry murder took place on his watch, and Mueller’s FBI, with its confidential informants being tracked as suspects by ATF, was up to its neck in things. Outrageously, there is no reason to expect Congress to be any more successful at exposing the full truth than they have been so far at holding Eric Holder accountable for his Fast and Furious obstruction. Nor, as we see from the preponderance of agenda reporting, lies of omission and outright fake news can establishment media be relied on. As with the original Fast and Furious reporting, expect new revelations to come from independent efforts while those with the mass reach fall back on deliberate indifference and hoping not too many notice. David notes that Mueller condemned the Supreme Court's decision in DC v. Heller. It may be just a coincidence and it may be that Mueller along with Eric Holder was helping to pull the strings. We just don't know. However, I will say that David rarely speculates without substantial evidence in hand. David goes on to add that an independent film that had been shelved dealing with Operation Fast and Furious is being resurrected. See David's post for the complete story on the film and on Mueller. Most of those who were involved in the attack on Pearl Harbor in 1941, whether as attackers or defenders, are not alive today to tell their story. It is up to us in the succeeding generations to remember it and to tell it. First, let us remember those men and women on the American side who died during the attack. The casualty list is here. As to the Japanese, I'm not sure where to find any of those records. The US Navy has an official account of the attack. It was compiled by CINCPAC for the Secretary of the Navy and was dated 15 February 1942. The report gives the disposition of the US Pacific Fleet on December 7th, an after action report, damage reports, and the current state of readiness after the attack. It is quite comprehensive. Remembering that there was no social media at the time, the role of propaganda posters was critical for energizing the populace of the United States on to a wartime footing. Some of these posters were simple and some were not. The last poster below shows the Japanese wearing glasses. That plus buck teeth seem to be the common characterization of the Japanese in these propaganda posters. There are many other posters I could have used but I thought them too overtly racist. Unlike the war in Europe, World War II in the Pacific Theater was brutal, nasty, racist, and without mercy. A good book on war in the Pacific is John Dower's War Without Mercy. Finally, of the movie accounts of the attack, I still think Tora Tora Tora is the best. Sometimes it is included with Amazon Prime and sometimes not. The North Carolina Wildlife Resources Commission has published their proposed changes to fish, wildlife, and game lands regulations. The comment period is open through February 1, 2018. These comments can by made in writing, by email, or by attending one of the nine public meetings held across the state beginning in January 2018. Public comment is sought on proposed changes to agency regulations related to wildlife management, fisheries and game lands for the 2018-19 seasons. The Wildlife Commission will conduct nine public hearings in January across the state to discuss these proposed regulations changes, including changes to deer and bear seasons. The public is encouraged to submit comments, opinions and suggestions by Feb. 1, 2018. Comments can be submitted in-person at one of the hearings, by e-mail, (please include your name and address) online or by mail (Rule-making Coordinator, 1701 Mail Service Center, Raleigh, NC 27699-1701). Today is the day that national concealed carry reciprocity finally comes to the floor of the House of Representatives. We have been promised it since last year's Presidential campaign. It should have come up in March or April but the House Republican leadership seems to have been dragging their feet on this. We have seen reciprocity pass the House before only to die in the Senate. HR 822 passed the House by a strong majority (272-154) back in November 2011. As much as some are upset about the pairing of carry reciprocity with the Fix NICS Act, that plus the number of red state Democrats up for re-election in the Senate may be the thing that gets it passed. The main thing in the Senate is not only to get it passed but to get it passed without amendments that would either cripple reciprocity or would add a virtual assault weapons ban to the bill. I could see Sen. Dianne Feinstein trying to do both of those things. In the meantime, here is the schedule for today as put out by the House Majority Leader's Office. REPORTED BY RECORD VOTE of 8-3 on Tuesday, December 5, 2017. 2. Provides one hour of debate equally divided and controlled by the chair and ranking minority member of the Committee on the Judiciary. 3. Waives all points of order against consideration of the bill. 4. Provides that an amendment in the nature of a substitute consisting of the text of Rules Committee Print 115-45 shall be considered as adopted and the bill, as amended, shall be considered as read. 5. Waives all points of order against provisions in the bill, as amended. 6. Provides one motion to recommit with or without instructions. The bottom line is that today is the day to light up the phones to Capitol Hill and district offices. You can be damn sure the gun prohibitionists are doing it and thanks to Giffords you know what they are going to say. The (anti-gun) cult of personality known as Giffords has produced a Concealed Carry Reciprocity Toolkit for all their uninformed followers. It provides talking points, phone scripts, email templates, pre-written tweets, ready-to-use graphics, and loaded (pun intended) town hall questions. This bill would make it legal for dangerous and untrained people to carry loaded, hidden guns in more public places. If this bill passes, people who are prohibited from getting a concealed carry permit in a state with strong gun laws will be allowed to apply for a permit in a state with weaker laws. This includes convicted stalkers, domestic abusers, people convicted of violent crimes, and people with no training or experience firing a gun. This bill fails to create a national standard for who should be allowed to carry a concealed weapon and undermines states rights by forcing states with strong concealed carry laws to honor permits from states with weak or non-existent concealed carry laws. Right now, states have the right to choose which states’ concealed carry permits they recognize, which is important because the requirement to carry hidden, loaded guns in public vary drastically from state to state. If this bill passes, that will no longer be the case. Concealed carry reciprocity will make it nearly impossible for law enforcement officers to quickly and easily verify that people carrying a hidden, loaded weapon are doing so legally. Nearly every major law enforcement association OPPOSES this bill because of its disastrous consequences for public safety. Concealed carry reciprocity will threaten the safety of victims of domestic violence, dating violence and stalking by enabling domestic violence offenders to follow their victims across state lines with loaded, concealed firearms. Preliminary data from the National Domestic Violence Hotline shows that 23% of victims reported that their abuser crossed state lines in an attempt to further assault their victims. Weakening gun laws will increase violent crime in our communities. Recent research found that violent crime increased in states that loosened concealed carry laws, with 10% more murders and up to 14% more violent crime. You can examine the entire document here. What I think this illustrates is just how much of a top-down, Astro-turf organization that the group formerly known as Americans for Responsible Solutions really is. This was obviously created for them by public relations and media professionals. It assumes that the Know Nothings who feel that "something has to be done" are too uninformed to write their own letters or say something more than "I'm against this" when calling Congressional offices. I find it highly ironic that a group so closely associated with the Democrats would go full "states' rights" in their opposition to carry reciprocity. While it is now the rallying cry of the progressives on this issue, it was the rallying cry for racist Democrats in the 1950s and 60s in their opposition to integration and civil rights. Prohibition of "intoxicating liquors" as embodied in the 18th Amendment was repealed 84 years ago today. To slightly paraphrase President Gerald Ford who was speaking on an entirely different matter, "My fellow Americans, our long national nightmare was over". We in the gun rights community should be especially happy to celebrate Repeal Day even if one is a teetotaler. The reason is that this period of time led to the rise of organized crime and its attendant violence. We are still living with the fallout from that area as we still have to pay a $200 tax for each and every suppressor, SBR, SBS, full-auto firearm (made before May 19, 1986), etc. that we want to buy and register. Without Prohibition and the attempted assassination of FDR, we probably wouldn't have had this gun control monstrosity imposed upon us. So tonight I plan to raise my glass to Sen. John Blaine of Wisconsin who introduced the resolution calling for the 21st Amendment. The House Rules Committee was scheduled to start their hearings on the rule for HR 38 which now combines the original HR 38 plus HR 4477 or the Fix NICS Act. Amendments for consideration have begun to pile up. Most are from Democrats who want to gut the bill with a few from Republicans who either want to clarify some aspects or who want to decouple the two bills. In my opinion, the "bipartisan" amendment from Rep. Seth Moulton (D-MA) and Rep. Carlos Curbelo (R-FL) is the most dangerous as it would graft their so-called anti-bump stock bill which really is any modification on to HR 38. UPDATE: The hearings are being carried on YouTube Live.